InfoCrank is a new generation of cycling power meters. Designed by Verve Cycling, the InfoCrank bike crankset sets new standards of accuracy, usability, and robustness. And because it's built for the road cyclist, the bike parts are not just guaranteed for the lifetime of one bike, but of all the road bikes you will own. 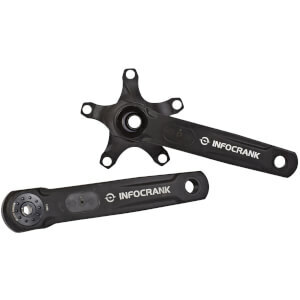 InfoCrank's power-meter functionality is integrated into the bike crankset, the hard point of every bike.